From Dec. 23rd to Dec 31st I traveled extensively through the Jacksonville – Orlando Corridor seeing tons of games and teams. The report below is a comprehensive recap of a great Holiday season of basketball. Dec. 23rd – This was a huge Jacksonville match-up between Ribault and Potters House. Game times varied by media outlet, but we got there at 7 and the parking lot was full. The parking lots nearby were full too. We finally found a spot then waited for almost 20 minutes to get into the game. Normally I would have been annoyed about that but it was about as good of an atmosphere as I have ever witnessed for a high school girls basketball game. The game itself was exciting although Potters House pulled away late in the first quarter and Ribault never really got close enough to threaten them. In terms of personnel, for Potter’s House 2017 Rella Booth was as good as I have ever seen her, just dominating in every aspect of the game. She’s comparable to a young Lebron James, the power forward size with point guard ability. As a lefty she has an added advantage and she really elevates on her perimeter jumpers. In this game she knocked down 3 three point shots. Her rebounding ability was on another planet. She’s definitely a BCS level impact freshmen. (Subscribe to John McGraw Scouting) is a kid from England who supposedly committed to LSU. She played really well in this game although she didn’t play as well in previous viewings. She’s got a good body for a college guard and has the ability to get to the basket. I would have thought she was more of a mid major caliber player but time will tell. 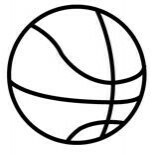 (Subscribe to John McGraw Scouting) is a shooter who has some athleticism despite a slightly thicker frame. She is great in their system, and I think she’s probably a juco or SWAC caliber player in college. (Subscribe to John McGraw Scouting) is the main point guard for Potters House and does a great job of pushing the ball in transition. She can shoot the 3 a little bit and has a flashy handle. She’s very athletic and fairly thin. I would say she’s probably a juco/NAIA/SWAC caliber player and word is she has some SWAC offers. (Subscribe to John McGraw Scouting) is an interesting story. She hasn’t played HS ball in at least a year and at one point was rumored to be a high school dropout. Now she’s at Potters House and looking great. She doesn’t have much of a jump shot but for a guard she’s big and strong and can get to rim against many defenders. She’s definitely a D-1 caliber player if she can qualify. I would monitor at the mid major level. Finally for Potters House I want to mention (Subscribe to John McGraw Scouting). She played in the JV game and put on a show. She’s played some varsity ball this year and she will be a BCS level player IF she grows, she’s currently 5′. For Ribault their big 3 (Subscribe to John McGraw Scouting) were the main ones worth writing about. (Subscribe to John McGraw Scouting) who will probably play the 2 in college struggled versus the Potters House trapping defense and pressure as she has to play the PG spot on this years Ribault team. She was off from 3point range in this game but has proven in past games she can shoot the 3ball. (Subscribe to John McGraw Scouting) probably the highest level prospect struggled against Potters House as well. There’s no question she will play in a BCS conference but will have to improve her motor. She struggled shooting in this game but like (Subscribe to John McGraw Scouting) has proven that she can stroke the 3 ball. (Subscribe to John McGraw Scouting) on this particular night was the best of the three. The reason was mainly her motor. She may not make it to a BCS conference because she’s a tweener, probably around 5’10 and thick. She was a beast on the offensive glass and the few times Ribault made a run she was the catalyst. Dec. 26th – I was suppose to spend the whole day at the Palatka Christmas Tournament and after getting up at 7am and driving the 75 minutes down to Palatka I saw 1 game. The setup was the dreadful Girls-Boys-Girls-Boys, etc, 4 girls games from 9am-6pm. After the 9am game Arlington Country Day vs Oakleaf we headed to breakfast only to come back to a forfeit as Homestead from South Florida was running late. I wasn’t going to sit around for 4 hours and so I went back to Jacksonville. The recap of Oakleaf vs. ACD; both teams looked like it was the day after Christmas and they hadn’t practiced in a few days. They also played like it was a 9am game. The score was in the low 20’s for both teams after the 3rd quarter with the fourth quarter being the lone quarter in which the teams scored in double figures. In terms of recapping players, I’m not sure ACD has any D-1 players although 2018 (Subscribe to John McGraw Scouting) has the ability just not the size currently. I wouldn’t be surprised if she grew though as her mom is about 5’5/5’6. Oakleaf has 4 players worth mentioning including Jade Lewis a 2016 6’1 SG/WF who can handle the ball and shoot to 3 point range. Her motor has increased dramatically in the past year. ’16 Destiny Avenger is a super fast PG with a high motor who excels in transition. She really needs to work on her perimeter shooting but she’s a mid major prospect for sure. Baileigh Larson a 2016 6’3 post is a D-1 player, who has the basic skills but lacks focus on catching and finishing sometimes. She will play D-1 for sure, but needs to improve her desire for the game. ’18 (Subscribe to John McGraw Scouting) is an athletic wing player who is a slasher/scorer with a good body and a developing 3 point shot. Dec. 27th – I started the day at Calvary Christian in Daytona, FL watching Leesburg versus George Jenkins. Leesburg is well coached and has some really athletic young players. There’s definitely a few to keep an eye on especially (Subscribe to John McGraw Scouting). She’s long and athletic and can finish around the basket. She takes good shots and is a willing passer. They have a few other guards too, but no one really stood out over the others. Jenkins didn’t have any underclassmen worth noting and they didn’t play well vs Leesburg. The second game at Calvary Christian featured the home team vs a Eustis team who was without their best player. Calvary Christian is able to have middle school students since they are a private school and they have 2 big time 2020’s. (Subscribe to John McGraw Scouting) is the better of the 2 only because of her build and athleticism. She has cuts in her arms like someone who works out with weights regularly, not something you commonly see with 12/13 year olds. She has a long way to go to be a polished player but athletically she’s already there. Her motor is everything you could ask for and actually she needs to just slow down a little bit. The other 2020 is (Subscribe to John McGraw Scouting) who is by far more polished now, but doesn’t have the athleticism that Ellis has. She is under control and can handle and shoot the 3 ball well enough to play and excel at the HS varsity level. From there we headed over to Atlantic HS to see 2016 Whitney Creech (pictured above) for Jenkins HS in Kentucky. Jenkins took on Science Hill from Tennessee. Science Hill has a senior going to Austin Peay and she’s a OVC level player in Lakeisha Gregory. Gregory shoots the 3 ball and has some decent athleticism. She should be able to help Austin Peay. Back to Creech, Gregory face guarded her most of the game and then Science Hill doubled her every time she touched it. As the Science Hill lead grew they got lazier about keeping up with Creech and she ended up with 34 points and didn’t play much of the 4thquarter. We went back to Palakta for the nitecap there and 2015 Ole Miss signee Jonell Williams put on a show with a triple double, putting up 39points, 13 rebounds and 10 assists. It was probably the hardest I’ve seen Jonell play and a very enjoyable game to watch. Shambria Washington a College of Charleston signee was amazing as well for Trinity Catholic, but she didn’t have enough help and Palatka was able to pull out a 15-20 point win. Dec. 29th – I started the day back in Daytona for Whitney Creech‘s game versus Redan (GA). Redan has been stocked full of D-1 players in the past but they are really down this year. Still they are athletic and physical and they did everything they could to face guard and stop Creech. Creech was single handily able to keep her team in the game. She scored in a variety of ways,including drives to the basket and hitting perimeter shots. She could have easily scored 50 but missed some shots and some free throws that she normally hits. From Daytona I headed south to Orlando to the Florida Prospects tournament. I was only going to be able to see 2 games so I headed to Colonial HS to see the top (Platinum) bracket. In the first game I watched Duke signee Crystal Primm and Texas State signee Devin Gray take on Winter Haven. Winter Haven has 3 big time underclassmen (Subscribe to John McGraw Scouting). (Subscribe to John McGraw Scouting) is an athletic 6’1 forward who does some really good things mainly defend and rebound. (Subscribe to John McGraw Scouting) is a thicker PF/WF who at 6′ can really score from the high post area and works hard to get a lot of offensive rebounds. She’s much more of a scorer than (Subscribe to John McGraw Scouting). ’18 (Subscribe to John McGraw Scouting) is probably the best prospect of the 3 and maybe Winter Haven’s best player. She can score in a variety of ways including drives to the basket, a great pull up J and a 3 point shot. She’s got handles and a competitive nature not normally seen in a freshmen. The games were running late and I had to head back to Jacksonville for our FSCJ game versus Gulf Coast. A tale of two games is how you can categorize our 2 FSCJ games versus Gulf Coast…a week prior in Panama City we struggled mightily and lost by 25. In this game we started on a 22-0 run and never looked back. Alexis Carter and Amber Jones both sophomore post players played extremely well for FSCJ. Jones and Carter had a number of schools there to see them including Florida, Duquesne, UNF, Charleston Southern, Tenn Tech. We ended up winning by 27, Kristina King and Tianah Alvarado both really struggled for Gulf Coast although Chelsea Gibson plays with such a high motor that she almost never has a bad game. Freshmen Meagan Thomas really shot the ball well as did freshmen De’Angela Mathis for FSCJ. Dec. 30th – Gulf Coast took on Hillsborough at Noon and Marquette signee Chelsea Gibson really stood out again. She’s going to be a Big-Time player for them. She’s got a great jump shot and can really score the ball. She plays sooooo hard and she’s very powerful. Gulf Coast won by 20. We played the next game versus Northwest Florida. They are extremely good.Sophomore Tia Sanders and Sophomore Simone Westbrook are probably the best backcourt in all of juco and probably a lot better than most NCAA D-1 backcourts. Sanders started the game 3-3 from 3 and was virtually unstopable in the first half. We did the best job I’ve seen on Westbrook that I’ve seen and held her to 6-20 from the floor but she still finished with 20 points, 7 assist and 1 turnover. We did an amazing job shutting down Daniela Wallen holding her to zero points. She’s an amazing SF/PF type who can score inside and out, hitting 3’s and grabbing tons of offensive rebounds. We really spent a lot of time working on stopping her and Westbrook. Sanders really surprised me how good of a shooter and scorer she was. Acey Powell a 5’5 Freshmen really stepped up big for them hitting some 3’s and playing very intense defense. Down the stretch Westbrook was too much and we lost 85-80 in the best juco game I’ve seen all year. That night I headed to Wekiva HS for the Semi-Finals of the Gold Bracket of the Florida Prospects tournament. The first game featured Treasure Coast vs Ft. Lauderdale. Ft. Lauderdale really struggled to score a true testament to Coach Dorio of Treasure Coast and their players ability to execute. Ft. Lauderdale didn’t really have anyone put up big numbers but it was pretty obvious ’17 (Subscribe to John McGraw Scouting) is going to be a big time player. She’s about 5’10 and super athletic. I would certainly monitor at the BCS level. Treasure Coast has a freshmen worth keeping an eye on – (Subscribe to John McGraw Scouting) a 5’6 PG, who runs her team like a senior. She doesn’t do anything fancy or flashy but she’s a lock D-1 player. She has the athleticism, handles and savvy to be a D-1 PG next year. In the night cap I saw Wekiva take on Grandview Prep who they completely dominated. Wekiva was missing one of their top players Ciara Cumbie who is already committed to Palm Beach Atlantic. (Subscribe to John McGraw Scouting) has won me over. She’s probably one of the top 3 or 4 2016 players in Florida and a lock for a BCS scholarship. She’s got amazing size at the position and she can really shoot the ball. (Subscribe to John McGraw Scouting) has really impressed me in the past but doesn’t seem to be playing as well this season. She’s got the tools to be really good but she’s got to become a more consistent shooter and overall player. Dec. 31st – I started the day off at the Orlando Rec Center with my guy Herb Thomas watching Tampa Catholic take on Martin Co. Martin County’s best player ’17 (Subscribe to John McGraw Scouting) didn’t travel with the team and rumor is she maybe transferring. The main prospect in the game was ’17 Alisa Davis of Tampa Catholic. Alise is a 6′ beast. She’s very thick and strong and reminds me of Jonell Williams. In this game she had a triple double going for 24points, 13 rebounds and 10 blocks. She has great hands and is very athletic for a player of her size. Some additional conditioning will enhance her ability for sure. Headed over to Colonial to watch two Platinum Bracket 0-2 teams, Tampa Freedom and Oxbridge. Crystal Primm put on a show for the senior laden Oxbridge scoring 30 while Tulane signee Taylor Emery did the same for Freedom scoring 27. It was the best game I saw in the tournament and it happened at 10:30 in the morning. ’16 (Subscribe to John McGraw Scouting) was the lone underclassmen standout from either team, scoring 18 points for Freedom and really running the show for them. She’s a nice little PG, probably worth monitoring at the lower or low mid major D-1 level. She’s crafty, can score a little bit and is playing under one of the better coaches in Florida. Calvary Christian of Daytona was up next and I got a 2nd viewing of 2020’s Gillard and Ellis. Both reaffirmed my earlier thoughts. After lunch I headed back to the Rec to see Spruce Creek vs. Sebastian River. I really thought Spruce Creek passed the eye test a lot more than Sebastian River did. Sebastian River though was surprising well coached by their assistant coach who did an amazing job managing the game even though they didn’t win. That said Spruce Creek was equally well coached. Spruce Creek lead almost the entire game but the score never got more than a 10-12 point difference. Spruce Creek has a few youngsters to keep an eye on, although their best underclassmen 2018 Jayla Adams (pictured above) is already committed to Stetson. She’s a super athletic 5’4 PG who really runs her team and plays very smart. She didn’t score in this game but then again she didn’t need to. 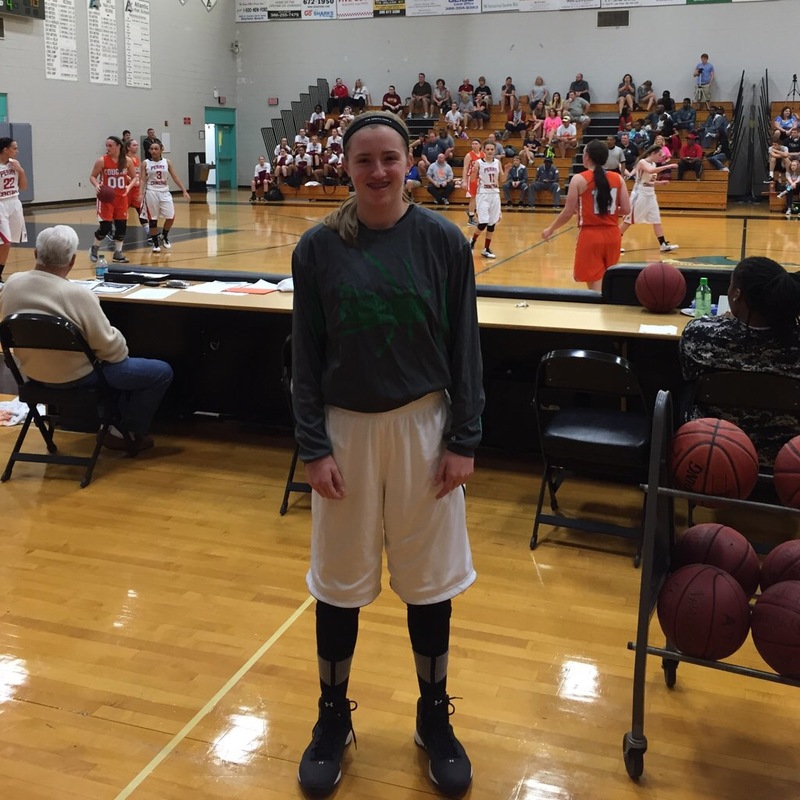 2016 (Subscribe to John McGraw Scouting) is an athletic lefty who can score and rebound. She’s definitely one to monitor on the low mid major level. She can drive from the high post and score. I also really liked ’16 (Subscribe to John McGraw Scouting). She’s got a great feel for the game, can shoot the ball and plays extremely hard. She may not pass the initial eye test but I know I’d like a competitor like her on my team if I coached in the A-Sun or OVC. 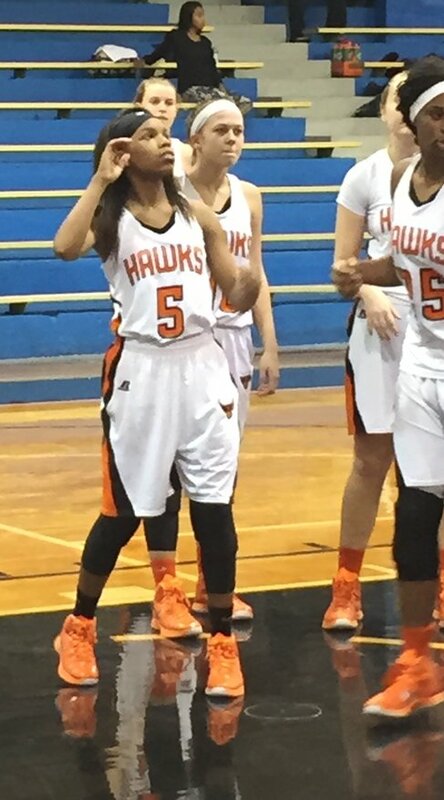 Sebastian River had 2 underclassmen to keep an eye on – ’16 (Subscribe to John McGraw Scouting) a 5’6 guard. She’s got a good amount of savvy and she can shoot the ball some. She’s got decent handles and has a good amount of poise and confidence for a PG. The other player to keep an eye on is 2017 (Subscribe to John McGraw Scouting). She’s got decent size and a decent feel for the game. She rebounds and defends at her position. Definitely monitor at the low mid major level. I headed over to Colonial HS to watch the last 3 games there. I got there in time to see’16 Jasmine Jones of FAMU. I got to speak to Jasmine and she assured me she would be playing with North Florida Elite this summer. Jasmine displayed her usual dominance and athleticism and it’s easy to see why she’s one of if not the top 2016 in the state. Her team got the win beating Northeast HS and Cabria Lee easily. I didn’t get to see enough of the game to do a fair write up of Northeast. The next game was the championship of one of the lower levels of the tournament that featured Timber Creek vs Palmer Trinity. Timber Creek features 6’2 2016 (Subscribe to John McGraw Scouting). She’s a big thick post player. Has a nice soft touch around the basket and finished well. I would probably monitor at the low mid major level. Palmer Trinity had 2 interesting prospects ’16 (Subscribe to John McGraw Scouting) who had 17 first half points. She’s a 5’9 guard with some thickness and a really nice stroke from 3 point range. I’d like to see her against higher level competition. I think she’s one to monitor at the low mid major level. The other prospect Trinity had was 6’2 2018 (Subscribe to John McGraw Scouting). She isn’t great at this point, but she seemed coachable and tried her best to everything the coach asked. She’s got great size and tons of upside. I heard from one parent that she only recently started playing basketball. The championship of the Platinum Bracket was Winter Haven versus Colonial. I’ve already covered Winter Haven and Colonial’s best players are already committed to Georgia State….it was a great game in which Colonial jumped out to a 22-6 lead and Winter Haven could never really get it back under 10. It was a very good, competitive high level high school game though. This entry was posted on January 3, 2015 by johnmcgraw49.